The term “Nikkei” has multiple and diverse meanings depending on situations, places, and environments. 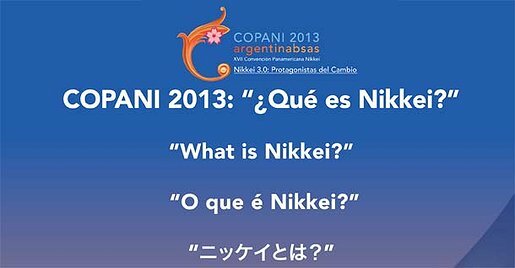 In collaboration with COPANI 2013, Discover Nikkei, a project of the Japanese American National Museum (Los Angeles, CA), has organized a photo activity that asks the question, “What does ‘Nikkei’ mean to you?” Here, we share the statements from COPANI participants. editor — Last modified Feb 20 2019 8:52 a.m.